Once again the migration of two young cranes can be followed on Internet (birdmap.5dvision.ee), in addition to the journeys of eagles and black storks. 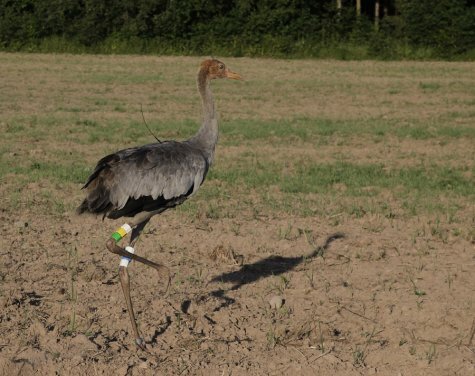 Young crane Lootvina got the GPS/ARGOS battery-fed satellite transmitter on July 11, 2011, near Lootvina village in the north-western corner of Põlvamaa. Of the two young cranes marked there in 2009 one (Lena) reached Belarus, and the other (Tom) Sudan. Sadly both died on the migration. Tom made a fast migration journey in the beginning of November through the Ukraine, across the Black Sea, the eastern part of the Mediterranean, the Sinai Peninsula and eastern Egypt to North Sudan, where sadly his strength ebbed out in the Nubian desert. About 500 kilometres still remained then to the presumed wintering area in Ethiopia. 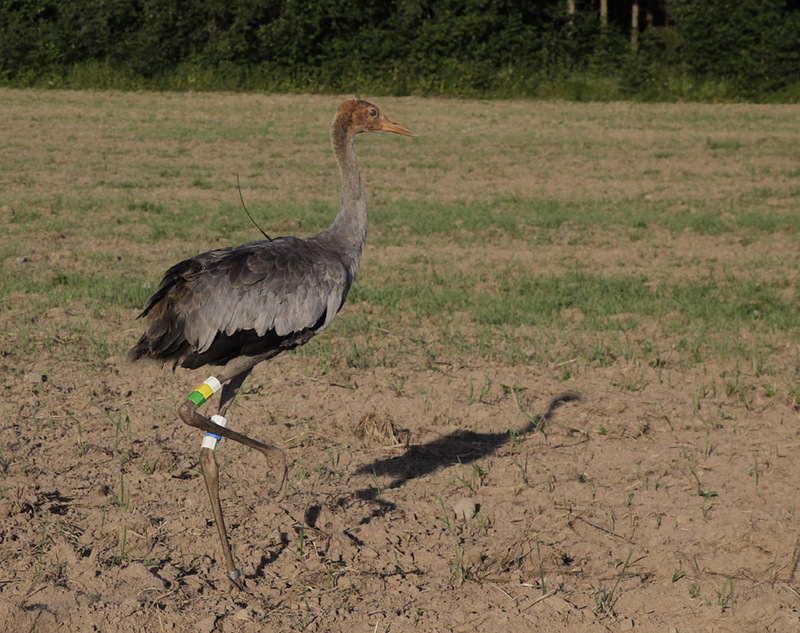 Young crane Ahja 2 got the satellite transmitter backpack on July 21, 2011, in Ahja village in Põlvamaa. The young crane (Ahja) marked in the same area in 2010 reached the Mediterranean, but its life ended in the Tyrrhenian Sea on the way to Tunis. The route had gone through Hungary, Serbia and Croatia and across Italy. We wish our new satellite cranes a successful autumn migration and wintering and a safe homecoming next spring. According to the latest data Lootvina was still in Estonia, near Räpina, and Ahja 2 in northern Belarus. We receive data from our cranes every ten days.